The Winning Poker Network has announced that its Million Dollar Jackpot promotion will be finishing next week after six weeks of hectic hyper-turbo action. There is no doubt that the Winning Poker Network´s Million Dollar Jackpot promotion has been a storming success. The opportunity to win a share of a million dollars from as little as $0.69 has driven hundreds of players to the Network´s hyper-turbo Sit & Go games. However, from next week players at Americas Cardroom, Black Chip Poker, and the non-US facing Ya Poker will have to go back to playing for a maximum prize of $100,000, as the Network has announced it will be finishing the promotion ahead of a new yet-to-be-announced event. Jackpot Poker is a three-handed, hyper-turbo Sit & Go game in which a random prize is drawn when three players have registered and are seated at the table. 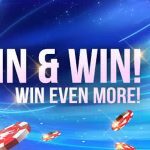 Usually, the random prize varies between 2 and 2,500 times the buy-in and, with buy-ins of $2.00, $10.00, $25.00 and $40.00 available, the maximum that can usually be won in any one game is $100,000. 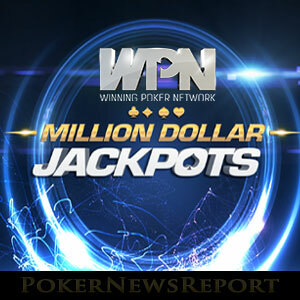 Since late January, sites on the Winning Poker Network have been running a special Million Dollar Jackpot promotion. Throughout the promotion, players have had the opportunity to select a buy-in of $0.69, $6.90 or $69.00 and play in a special version of the game with a maximum prize pool of $1,000,000. Obviously, the higher the buy-in, the higher the chance of striking it rich. There are many other Jackpot Poker prizes that can be won. 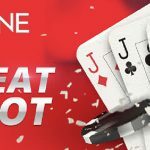 Most often, the random prize will be between two and twenty-five times the buy-in, but plenty of players have found themselves involved in games with a prize pool of 100 times the buy-in and 1,000 times the buy-in. In fact, on 20th February, the 1,000 times prize was drawn in $0.69 and $69.00 games on the same day. As with many promotions of this nature, when the top prizes are drawn (100x, 1,000x and the Jackpot) the prize money is shared between the players involved in the game. In the case of sites on the Winning Poker Network, the prize is distributed in a ratio of 75 (winner)/15 (second)/10 (third), unless all three players agree to a 40/30/30 split before the game begins. 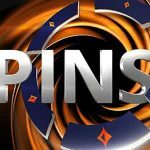 Even though the Million Dollar Jackpot promotion is coming to a close, there are still plenty of good promotions being hosted by the Winning Poker Network. The Network´s non-contributory take race – “The Beast” – has a prize pool in excess of $100,000 each week, while the Sit & Go equivalent – “Sit & Crush” regularly pays out around $25,000 in cash prizes and tournament entry tickets. The Network hosts the most valuable online poker tournament accessible by players in the US – the $150,000 guaranteed “Sunday Special” – and has a player reward program that is so generous it would make most non-US poker sites blush with embarrassment. Furthermore, if high-stakes, nosebleed action is your thing, you will love the $1,000 buy-in “Cage” cash game each Wednesday evening. Will You Share in a Million While Time Remains? There is no guarantee that a Million Dollar Jackpot will be won before the promotion is finished next week, but there is no harm in trying. If you are not already playing at one of the Winning Poker Network sites, and you fancy a crack at winning a life-changing amount, sign up today. 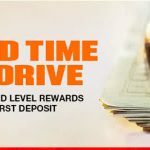 All of the sites on the Network offer an excellent first deposit bonus of 100% up to $1,000, plus access to the opportunities mentioned above. Just like playing the lottery, you cannot win the Jackpot if you don´t buy a ticket!